Great Ryrie Primary School has teamed up with our Health Promotion team to use the Victorian Government’s Achievement Program as a framework to create a healthy environment and promote the health and wellbeing of their whole school community. 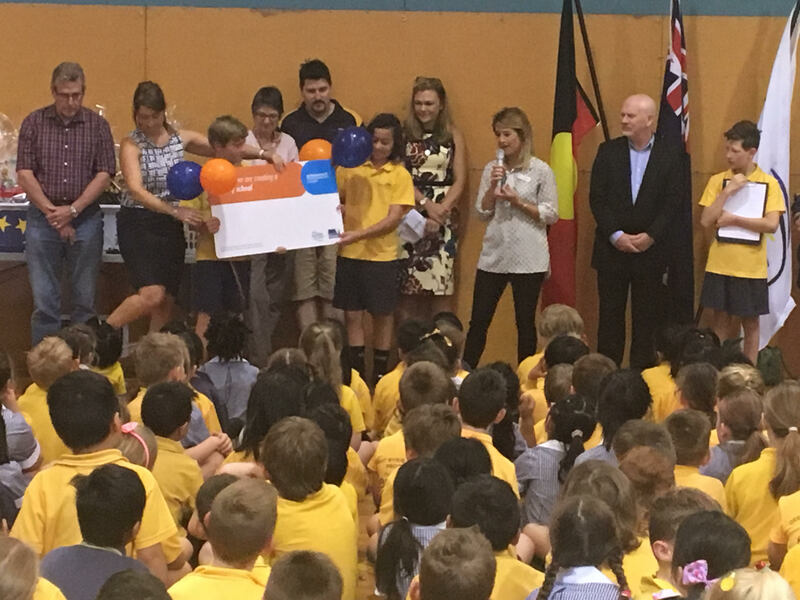 Great Ryrie Primary is officially the first school in Maroondah to become recognised as a Health Promoting School for meeting statewide benchmarks for Physical Activity and Sun Protection. The Health and Wellbeing Team at Great Ryrie Primary School includes teachers and parents and together they worked really hard to develop an outstanding action plan to increase physical activity levels and active travel not only among the students but also the staff and parents. 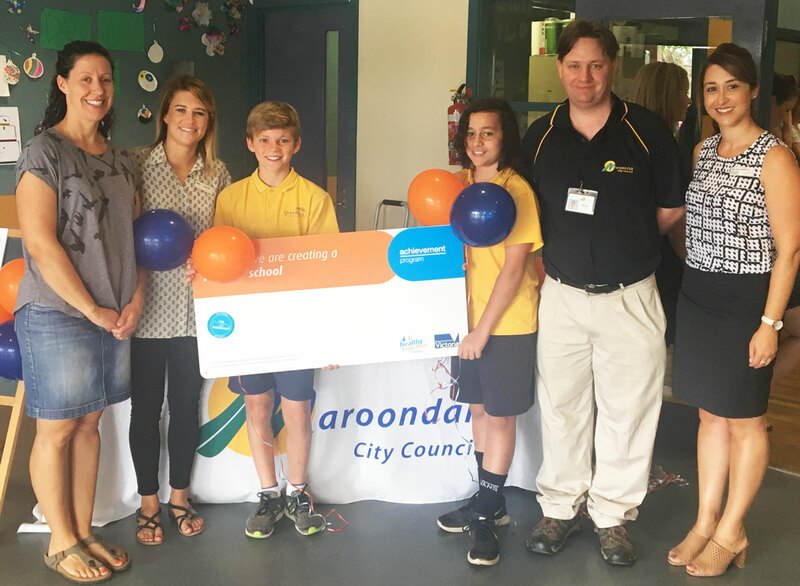 Staff from our Health Promotion team recently presented two of the schools Active Travel Champions with their Achievement Program sign, with Michael Blowfield, Transport and Sustainability Planner for Maroondah City Council in attendance, sharing local information and resources with students, staff and parents – including local walking maps in Maroondah and road safety. Melissa Roberts, Assistant Principal said, “being part of the Achievement Program has been a fantastic vehicle to promote ‘Healthy Lifestyles’ in our school community. By tackling one area at a time and being supported by EACH staff, we have been able to follow through with actions and make a real difference to our school culture. We have revised our policies and implemented programs and resources that support students, staff and parents in improving their own health and wellbeing”. The Achievement Program provides schools with a comprehensive framework, tools and resources to improve the health of students, staff and families. Participating schools and centres are encouraged to meet best-practice standards in their chosen health area and those that do, receive recognition from the Victorian Government. “Great Ryrie Primary School has shown leadership in the community by promoting and modelling good health. We encourage more schools in the region to get involved and make a real difference to the lives of their students and the community. Creating a healthy school will help your students be their best today and into the future,” said Catherine Delany, Health Promotion Officer at EACH. For further information about the Achievement Program call 1300 721 682 or visit www.achievementprogram.health.vic.gov.au. The Achievement Program is supported by the Victorian State Government and delivered by Cancer Council Victoria.